on the 5th of January 2001 a report claimed that Harold Shipman may have murdered over 300 of his patients, the oil tanker MV Brear ran aground in 1993 of the coast of the Shetland Islands spilling 84,700 tonnes of Crude Oil into the North Sea and in 1970 the Nobel prize winning physicist Max Born Died. In 1981 a lesser known scientist, Max Urey, died at the age of 87. However he made one of the most important discoveries of the last century. 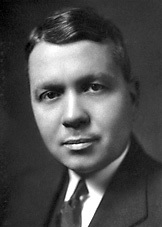 He was responsible for the discovery of Deuterium. To some this substance may sound as far out as Superman’s Kryptonite or Tolkein’s Mithril, however, this is in fact a real substance that is an isotope of Hydrogen. Isotopes are atoms that contain the same number of protons but a different number of neutrons. Atoms of the same element all contain the same number of protons. For example carbon always has 6 protons but can have 6, 7 or even 8 neutrons. Similarly hydrogen exists in two stable forms; Hydrogen (just a single proton) and Deuterium (1 proton and 1 neutron). A third form, Tritium, is commonly talked of however it is radioactive and unstable. 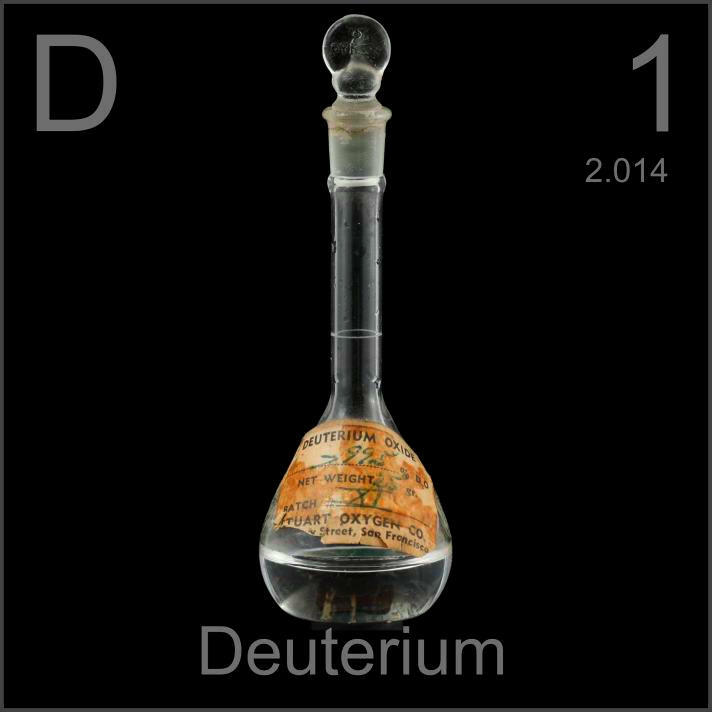 Deuterium is used in many different applications, my personal favourite is within NMR spectroscopy. H-NMR spectroscopy investigates compounds and tells the user what is there by looks at the environments of the Hydrogen atom, this being a single proton, Deuterium, having a neutron and a proton, is not affected in the same way and so can be considered non NMR active. This means that a solvent containing Deuterium atoms rather than Hydrogen atoms can be used to dissolve a sample as it won’t appear on the final spectrum. Heavy water D2O and Deuterated Chloroform CDCl3 are very common NMR solvents. Deuterium is also used within nuclear fusion, possibly one of the most exciting ideas of our time! by fusing a Deuterium with a Tritium (the third isotope of Hydrogen) Helium can be formed, this nuclear reaction releases a vast amount of energy in a process similar to that occurring in stars. This entry was posted in A-Level, On this day, Random and tagged Deuterium, Hydrogen, Hydrogen atom, NMR spectroscopy, Nuclear magnetic resonance. Bookmark the permalink.